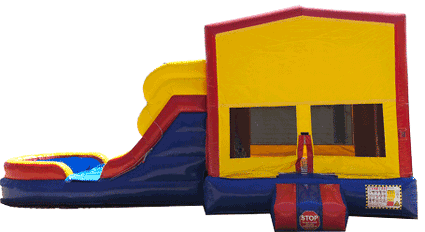 Two Lane Combo Slide with FunJump, Basketball Goal & Dual Lane Slide. This Combo can be used wet or dry. Also, add an art panel to customize your theme. Double the fun! With this two lane modular combo you get the jump and slide all in one. 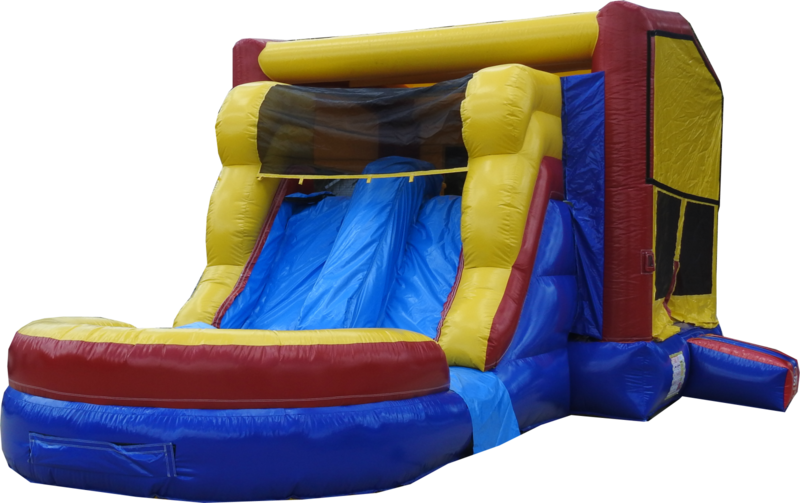 Also, any of our themed banners can fit on this modular funjump to perfectly fit any party !The weight limit for this jump is 500lbs. This rental's based price is for 6 hours. If additional rental time is needed we do offer overnight rental which is 25% extra.